Dreaming of being debt free? Wondering what a tumultuous property market will mean for your financial future? Wanting to buy, sell or invest in property without being ripped off or paying a mortgage for the term of your natural life? If you answered 'yes' to any of these questions, then Mortgage Stressbusters is a must-read. This plain-English, Q&A guide to mortgages and residential property will help you to end mortgage stress once and for all. Not only will you learn how to save money -- and time -- on your mortgage, but you'll also learn the tricks, tips and tactics that will get you ahead in the property game. what to do if you can't pay your mortgage. 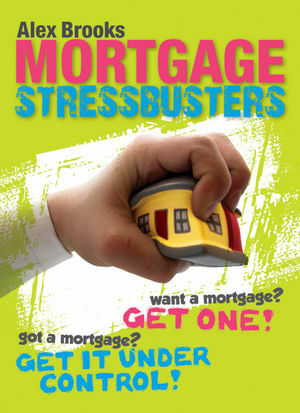 Whether you're stuck in the mortgage mire or just trying to stay ahead, Mortgage Stressbusters is the book for you! Alex Brooks specialises in writing about homes, property and sustainable living. She is the author of Planning Your Perfect Home Renovation and The Sydney Morning Herald Good Suburbs Guide. She is also a regular contributor to The Sydney Morning Herald, Sun-Herald, Sunday Life and House & Garden magazine.